Armando Baez tends to his garden outside his home near downtown Bloomington. A measure awaiting Gov. Bruce Rauner's signature would enable local counties or municipalities to create urban agricultural zones in areas where access to food is limited. 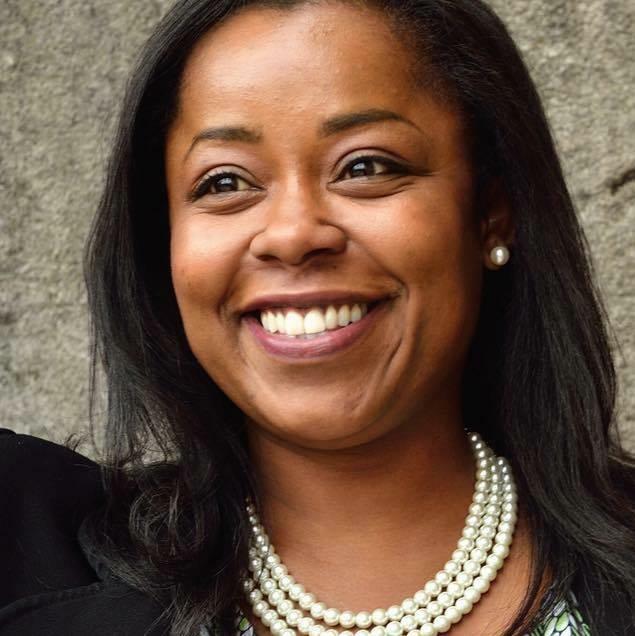 Sonya Harper is a state representative whose district covers the contrasting sides of Chicago that have come to symbolize the Windy City. State Rep. Sonya Harper has sponsored a measure which is intended to incentivize urban agriculture. “I think my district perfectly represents the two Chicagos that everybody talks about, the great part that everybody sees on TV, so I’ve got part of the loop downtown, but I grew up on the south side of the city in a neighborhood called West Englewood and that’s a food desert,” Harper said. Harper said her community on the southwest side of Chicago has one grocery store to serve close to 70,000 people. Many of those residents lack transportation. So Harper helped create a farming community in her inner-city neighborhood through a program called Grow Greater Englewood. Its mission is to help fill that grocery void, put people to work using vacant and abandoned property and give people in her hometown healthier food options. “Every day more people are dying in our communities from preventable diseases more so than bullets. We’ve found a way to use our vacant land—because we have lots of vacant land—as a way to grow food, as a way to meet our own dietary needs,” Harper said. 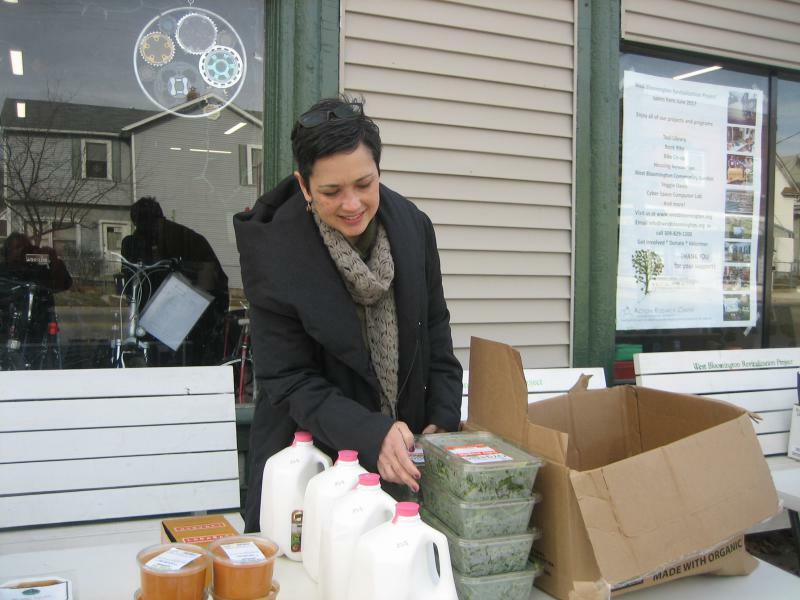 She said several farms have set up in Englewood, while much of the produce is sold at food stands and farmers markets. She added the group is still working on improving distribution chains so the food can help people across a wider area. Harper has since left the group and become a state legislator. She figures if it can work in Englewood as a pilot project, why can't it work elsewhere in the state? The Democrat who took office in 2015 championed a measure to allow local governments to create urban agricultural zones intended to give incentives to producers to set up in food deserts. Producers which sell at least 75 percent of food that's locally grown would be eligible. Sales taxes from agriculture products would be diverted to a fund that could be dedicated for a county, municipality or one of more school district. While there are pockets throughout Bloomington-Normal where food access is more limited, the problem is most prevalent in some west Bloomington neighborhoods, where grocery stores are sparse and many lower-income residents lack reliable transportation. Bloomington's city planner Katie Simpson said improving access to health food is just one goal listed in the city's latest 20-year comprehensive plan. Simpson suggested there are several locations where an urban farming district might work, including the warehouse district south of downtown. Simpson added the warehouse district's close access to U.S. 51 would make for easier delivery and distribution. The city's comprehensive report also suggests the former Sugar Creek Packing plant site south of the library as an urban ag zone, though Simpson adds there are no formal plans in place for either. She said urban farms can go beyond raw produce and expand their sales base. The city planner added whether the gardens are for commercial or personal consumption, there's benefit either way. “With the urban gardens, we see communities coming together, people working on gardening together, so that’s an intangible benefit, strengthening communities and also strengthening McLean County and Bloomington’s identity as an agricultural community,” Simpson said. The city is working to overhaul its zoning ordinances this summer, with plans to dive into the thorny issue of allowing beekeeping and chicken keeping. Normal banned chicken coops in 2011. The city is also looking to allow urban farming in residential areas, though it's something that at least one family is already doing. 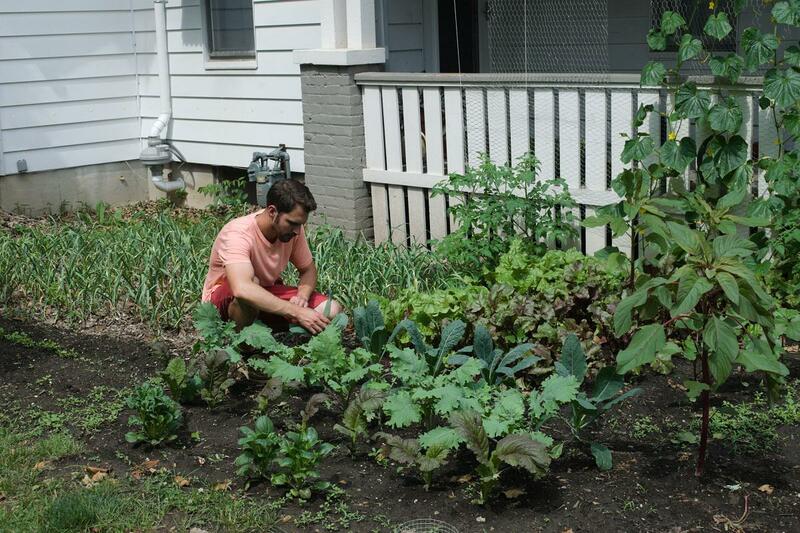 Armando Baez of Bloomington never intended to be an urban farmer. Looking for work after interning at a local farm, he unwittingly planted the seed for a new calling in life. "I think the mission has changed and evolved as we figured out what we wanted to do with it." Armando and his wife, Clare, grow everything from broccoli to cucumbers to snap peas in the back and front yard of their home near downtown. Growing more than they ever imagined, they want their crops to fulfill a greater purpose. “I think the mission has changed and evolved as we figured out what we wanted to do with it, how we wanted it to help the community and also how it will work with our family,” she said. The Baez family donates much of what they don't eat, even with three hungry boys at home, ages six months to 6 years old. 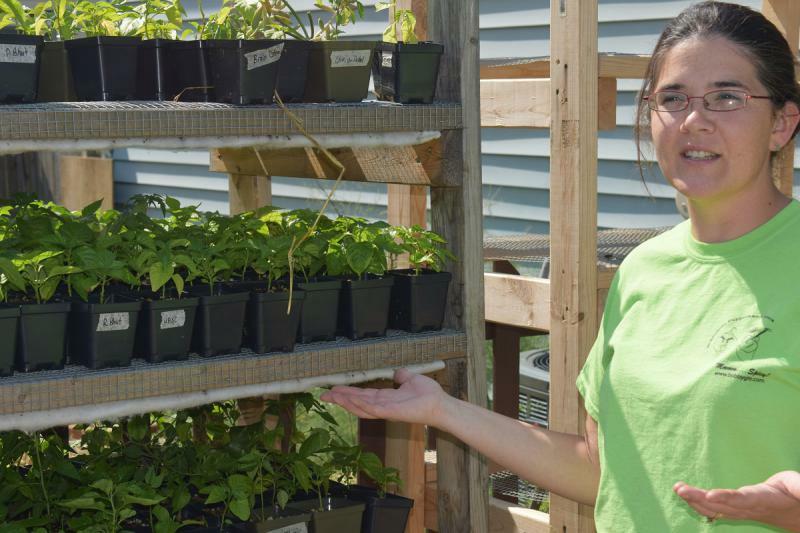 While the produce goes to friends and neighbors and groups like Veggie Oasis, Baez also dispenses advice to anyone looking to grow on their own. “You have to pay for some of the supplies you buy, but I think we really wanted to provide food to our neighbors and to people who could really use it,” he said. Clare Baez suggests it might not be as easy as you think. “Get an internship, apprentice with somebody, don’t just dive in head first,” she said. The Baez family has chronicled its urban family experience at RogueCarrots.com. A spokesperson for Rauner said his office is still reviewing about 600 bills that lawmakers have sent to him following the spring session. No comment on whether he plans to sign the urban ag zone bill. GLT's story on urban farming. GLT is reporting this week on why west Bloomington is a food desert and how different community organizations are working to fill the gap. This is part three in the series. For many west Bloomington families, putting food on the table isn’t a necessity. Too often it’s a choice. 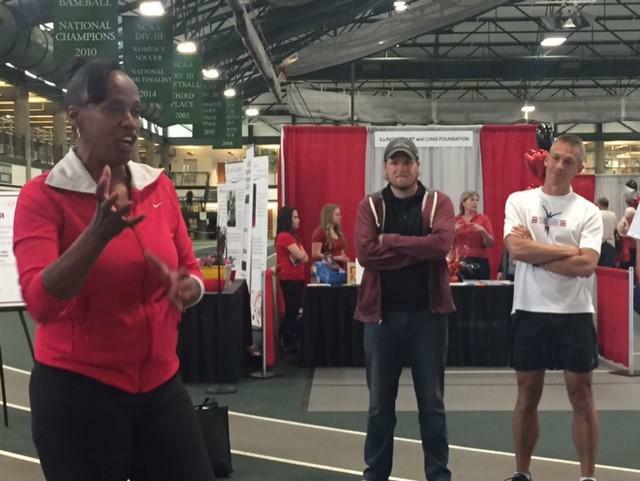 A six-time Olympic medal winner told attendees at last night's Women's Health Night they can overcome obstacles because she was able to achieve her dreams despite losing her mother at age 18 and being diagnosed with severe asthma.